Lightning Protection & Surge Arrester Systems? At Heightsafe Systems a properly installed lightning protection system, will not only protect the structure of a property, it will protect your people and your assets, so don’t be caught by a ‘bolt from the blue’, contact one of our Specialist Lightning Protection Consultants to discuss design, installation and maintenance. 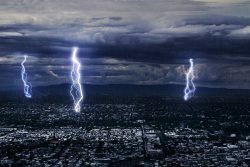 The well-known saying that ‘lightning doesn’t strike twice’ is not a complete fallacy, and the fact that global warming is something we all need to be considering, and what we can do to avoid the devastating consequences, needs to be fully considered and acted upon. To put this to test lets look at the Empire State Building in New York. Strikes of 49 in a single day have been recorded, and the building is said to be hit about 100 times every year. The testimony to a fully functional, crucial and maintained lightning protection system is that any damage has been minimal, and iconic building remains the same as it has for years. What is Lightning Protection and why do i need it? Lightning is caused as a result of high voltage currents, its unpredictable and can strike during any season of the year. 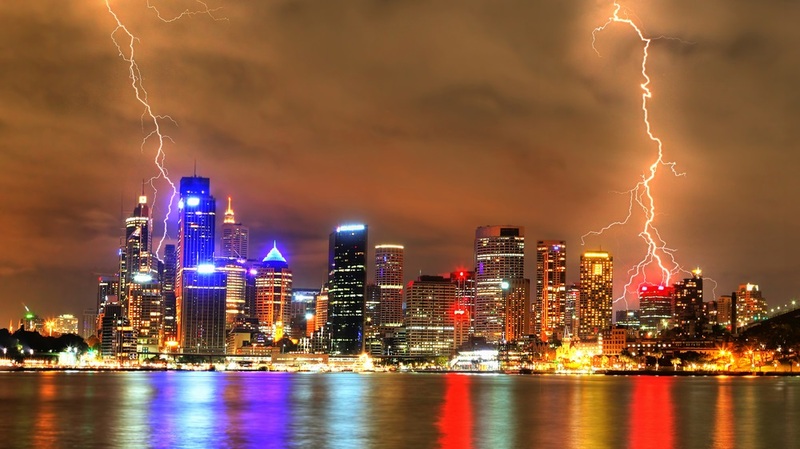 We have all noticed the increase in storm clouds and extreme weather conditions, making lightning strikes a high risk to property, people and our valued assets. We would assume that lightning will always strike the top of the tallest object in its path, but it is as possible for lightning to strike very close to the base, and can cause damage not only to that object but to anything nearby. 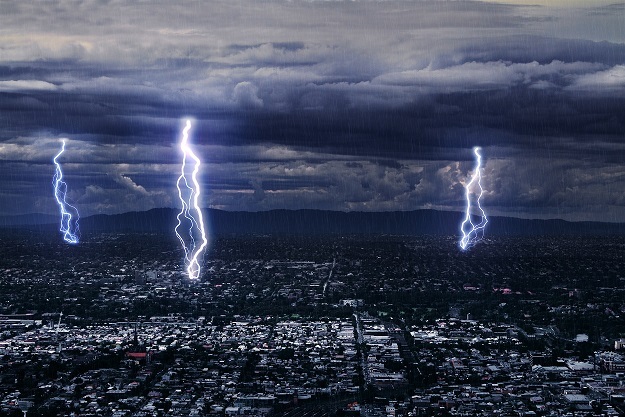 Did you know that approximately 350,000 lightning strikes hit the ground in the UK each year, with a minimum of 25% causing severe damage, and that the proximity to water increases the risk of taking a strike. Lightning strikes may appears a continuous force, but are only really a series of shorts bursts, and typically are about 40m in length, but can span anywhere between 10 – 120 metres in length, followed by 4 – 5 or many more strokes, but each carries hundreds to thousands of amps. In large and heavy thunderstorms the total energy generated is said to be enough to power the whole of the UK for 20 minutes. The first part provides an introduction to the British Standard and explains the main procedures and processes on how to carry out Lightning Protection designs in accordance with the policy itself. This section is vital in Lightning Protection management and the BS EN 62305 dedicates a large section of its policy to this alone. The BS EN 62305 implement four different levels of protection against lightning strikes, which are explained in great detail during this section. This was the main area of development from the BS 6651 to the BS EN 62305 which allowed our Lightning Protection Specialists to expand their knowledge and expertise to provide greater reassurance for our clients. 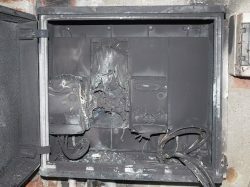 Here, the policy lays out the information around how best to protect electrical systems held inside buildings and structures. Heightsafe Systems are proud to employ a team of experts who are fully competent in all of the above principles and can accommodate for all our client’s individual needs, whilst maintaining the best value for money across the whole of the UK. One new addition to the BS EN 62305 was that of Internal Lightning Protection which hasn’t had much recognition in previous standards. 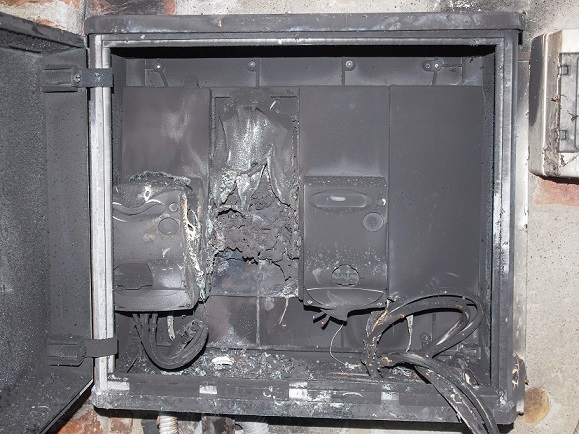 The legislation ensures that all lightning protection specialists who carry out any internal system works are fully aware of the risks of how a lightning strike can conduct an internal spark from building materials within a structure. It allows our experts to safeguard from the inside-out and provide Heightsafe System’s clients with the security they need. All of the above risks are given a level of damage ranging from injury to human life, physical damage to structures and objects, and failure within internal systems; all of which have a major impact throughout society and businesses. Type A: This type is focused directly on horizontal or vertical electrodes which are determined on a number of variations including the system in place, and the area of earth they are being placed. Type A is generally used for systems installed to the BS 6651. Type B: This type consists of an earth electrode ring which is embedded around the boundary of a structure and the majority of the ring is in direct contact with the earth. Foundation Earth Electrodes: This type is very similar to a ‘Type B’ classification with the main conductors being built into the concrete foundation of the structure. Heightsafe Systems’ qualified Lightning Protection Specialists are fully trained and competent in testing all systems to adhere to the recommendations and policies set out by BS EN 62305.